About Dixboro Village - Dixboro Village Green, Inc.
Nestled in the tranquil village of Dixboro, Michigan our Farmers’ Market is a throwback to yesteryear. 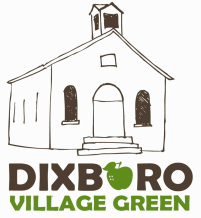 Situated alongside a historic one-room schoolhouse on the Dixboro Village Green, the market is dedicated to supporting local growers and producers through the creation of a vibrant marketplace welcoming to all. The market aims to preserve both the area’s agricultural history and foster innovation, while meeting the demands of area residents for additional opportunities to purchase local, fresh food.